In 2004, she taught a semester on environmental archaeology at Sligo IT. She has been working as an environmentalist for the Discovery Programme in Dublin since 2002. After initially being interested in palaeontology and geology, her interests shifted towards botanical material through her studies in Groningen with Professor W. van Zeist and Dr. Wil Casparie. After finishing her thesis, on Indonesian pollen, she worked on archaeobotanical material for the private sector, primarily for ARC in the Netherlands. In addition, she worked part-time on research studies in Netherlands, Turkey and Italy. In 1996 she translated the book Through Nature to Eternity: the bog bodies of Northwest Europe from Dr. W.A.B. van der Sanden from Dutch to Danish for Drents Museum in Assen. 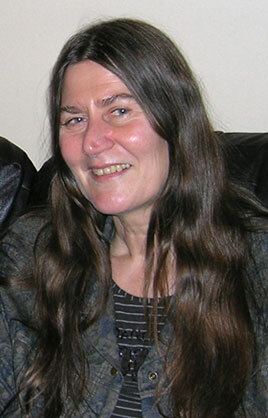 In 1997, she co-edited a book on the Kings of the North Sea (with Xandra Bardet). The creation of the palaeo-environmental module within the Lake Settlement Project was the first work in the Discovery Programme. This led to a collaboration project with Exeter University in the Lough Kinale area. Later, work shifted towards excavation-based research on wood, charcoal and pollen from the late-mesolithic excavation within that area. Since 2004 she also contributes to the Medieval Rural Settlement Project with its excavations in Tulsk and Carns (Co. Roscommon). Ingelise is contact person within the Discovery Programme for a new envisaged research module focusing on environmental conditions in the period 1500 BC through 1200 AD that were important for prehistoric people. This module will run parallel to an archaeological module with a somewhat shorter time frame.